I'm currently in a very determined state of denial. I love summer, and the idea that fall is just around the corner is so sad to me that I'm choosing not think about it at all. I mean, It's August! August is a summer month! Our family still has our annual beach trip coming up! Summer can't be close to ending yet. However, all of the clothing catalogs that have made their way into my mailbox recently have all featured fall clothing, and in the back of my mind I've been evaluating new purchases: will this transition well into cooler weather? 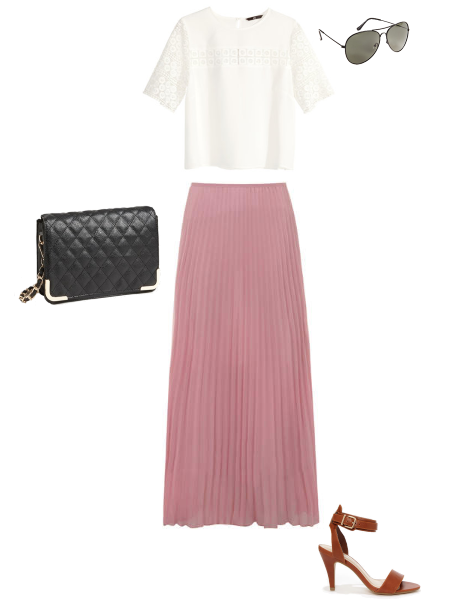 This week's inspiration image is such a great transitional outfit. The feel is still totally summer, but the long skirt and jacket (click the above link for more pictures) would work well in an autumn wardrobe. 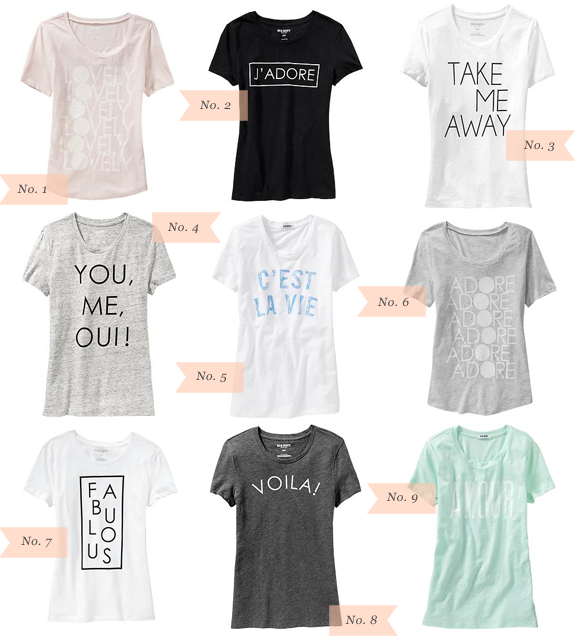 I have been keeping my eye on the graphic tees from J.Crew since spring. I loved the clean text and french themes but I had a hard time ponying up $40+ to get my hands on one. I was really happy to see these at Old Navy. If only Old Navy hadn't closed their store that was blocks from my house! I would have already walked over and snatched one of these babies up.